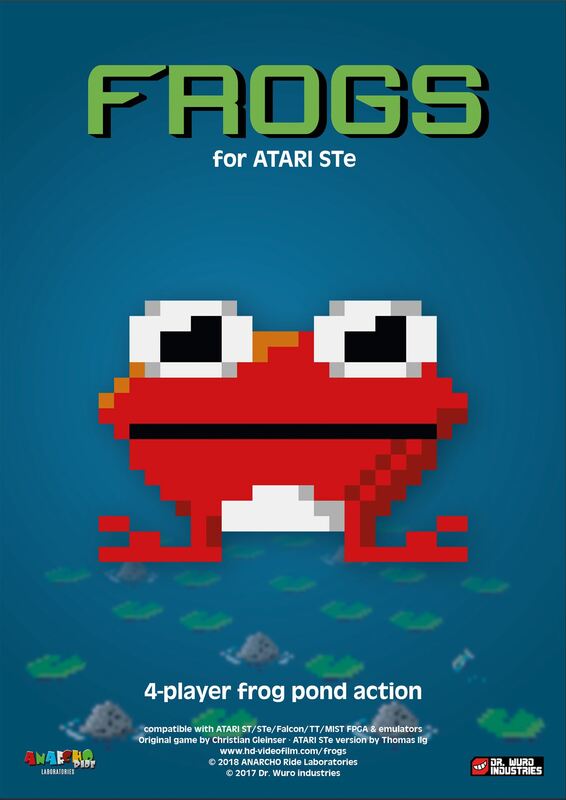 Get your friends together and play FROGS for your ATARI STe, FALCON, MIST FPGA or compatible emulators. ATARI ST owners can play as well... just a bit slower. And if you like the game think about a donation to the creators! 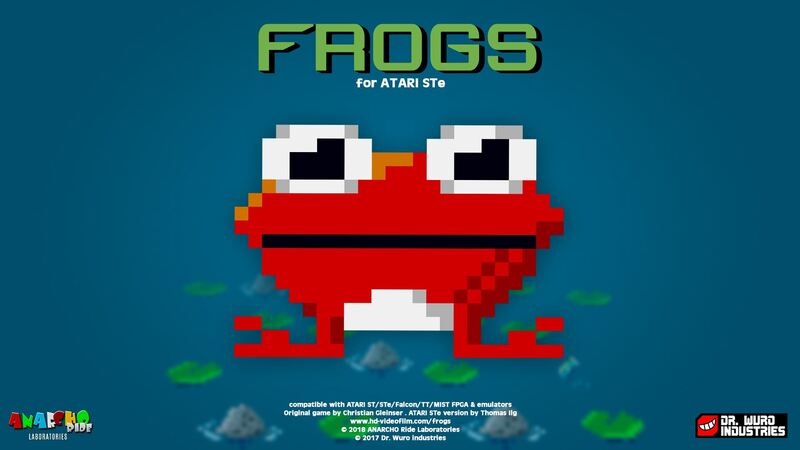 If you like FROGS and other ATARI ST games, maybe make a donation to the developers... so they may be able to have a beer together! Important notice: this is a retro game for historic computers of the ATARI ST series. It will not run on any modern device like PC, MAC, IOS or Android without installation of an appropriate emulator. Check FAQ for further information. Have the teaser version? Why sould you update to the full game? * MIST Core core_181017.rbf or newer required for full 4-Joystick compatibility.